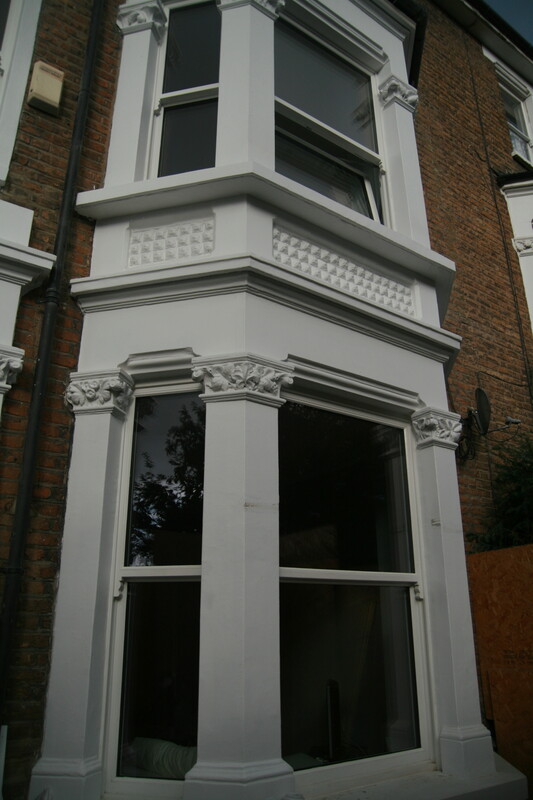 Traditional sliding sash looking windows with ultra-high performance. Tilt & turn lower part with fixed upper light. Traditional design in timber, fully factory finished in any RAL or NCS colour. Designed to suit heritage buildings and yet give high thermal and acoustic performance. 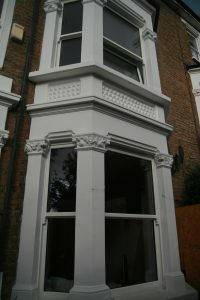 Efficient and reliable with modern technology, GreenSteps Victorian Sash Style windows are produced using traditional joinery techniques and incorporating heritage style features. Triple glazed units give thermal and acoustic performance. Optional profiled glazing bars for authentic appearance. Highly effective triple seals and acoustic glass option. Incorporating high efficiency triple glazed units with warm edge spacers and Argon filled cavities. Roto tilt & turn hardware for reliable performance. Triple sealing gasket system. Sound attenuating glass option for 43dB sound reduction. Thermal performance is to Passivhaus level, with overall window u-values better than 0.8W/m2K.